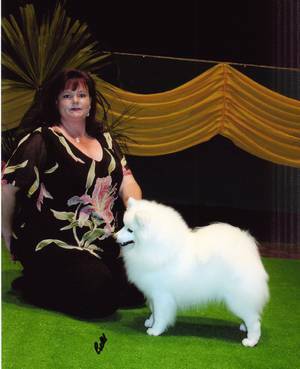 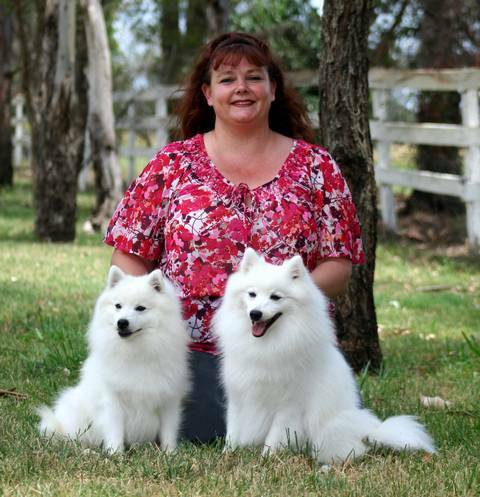 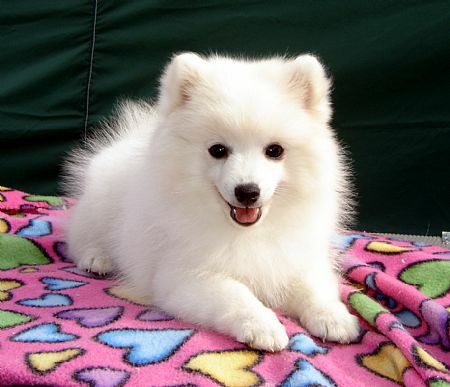 Breeder of Quality Japanese Spitz. 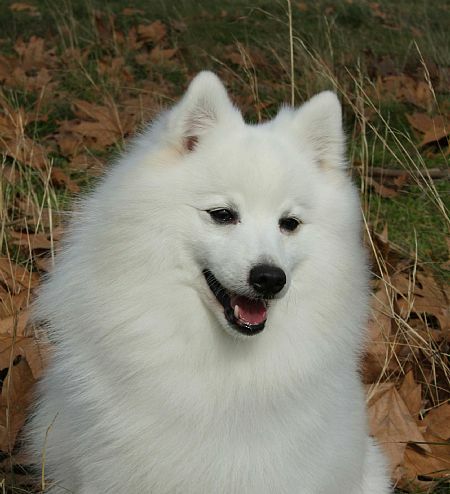 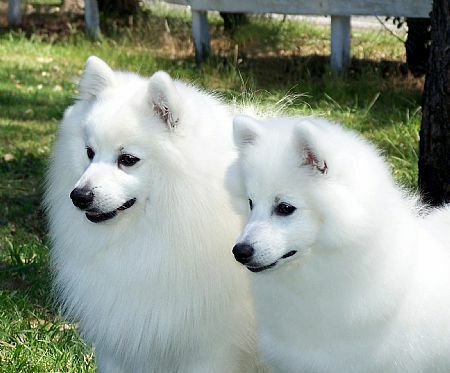 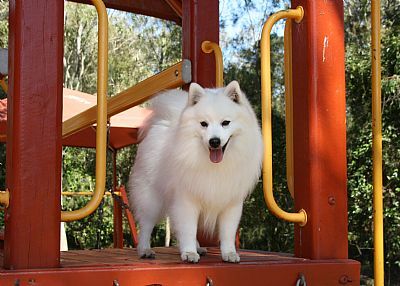 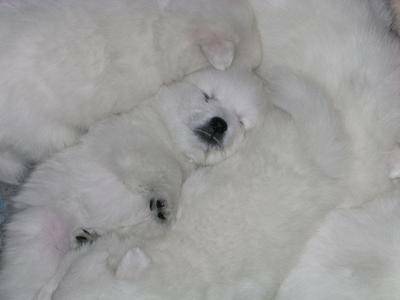 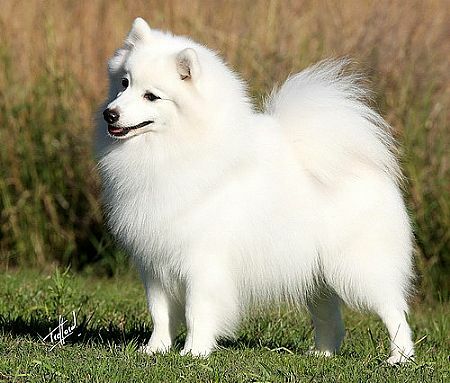 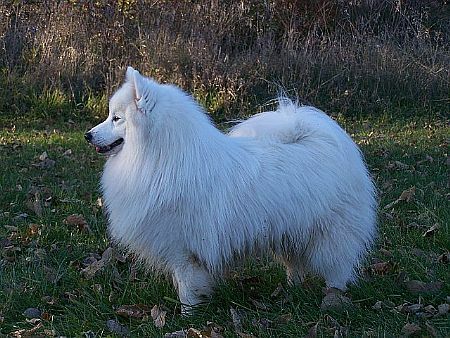 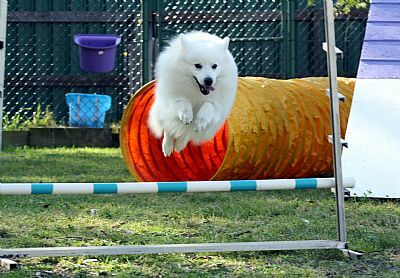 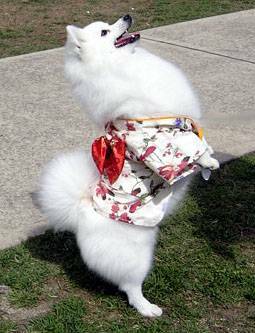 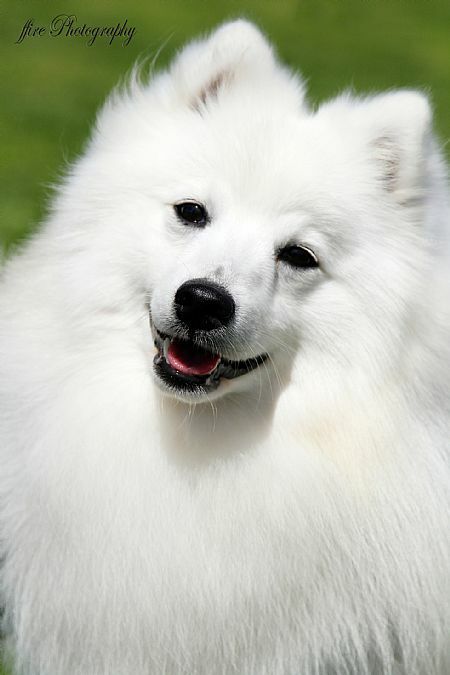 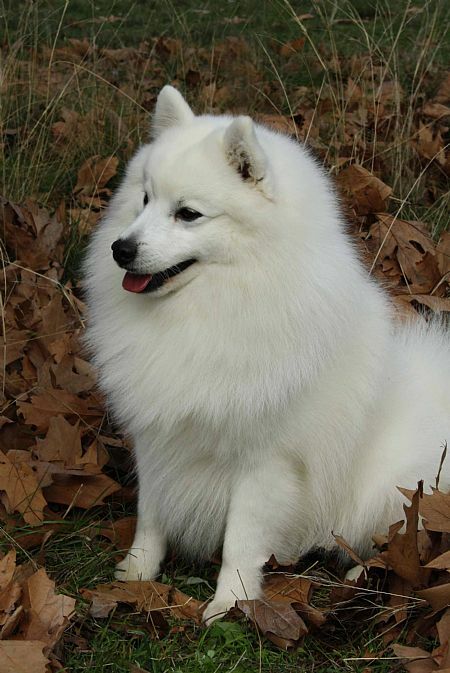 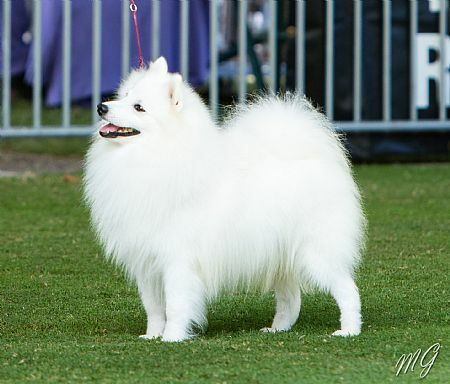 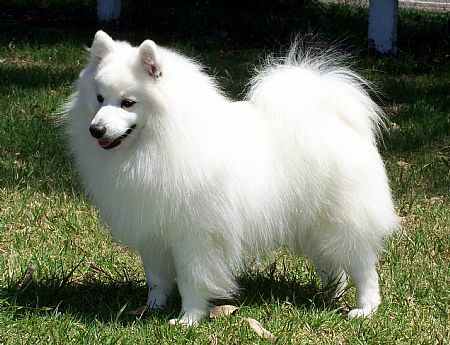 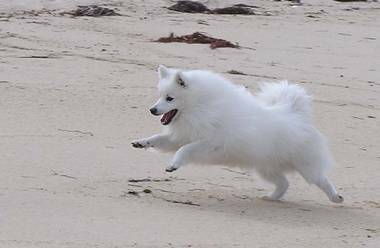 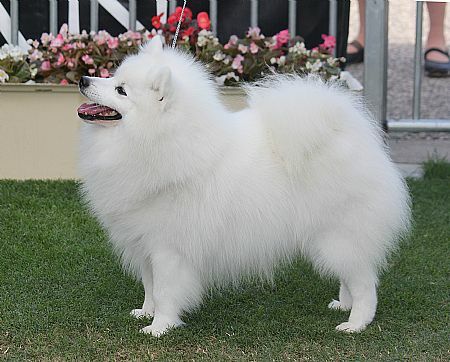 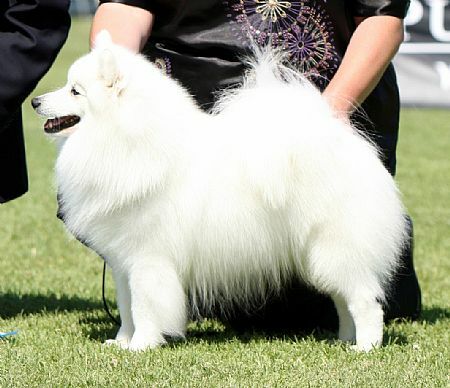 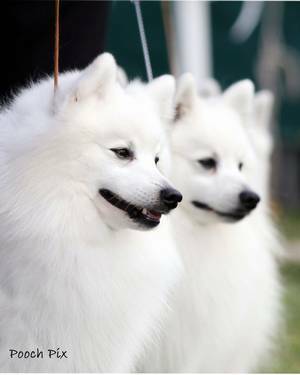 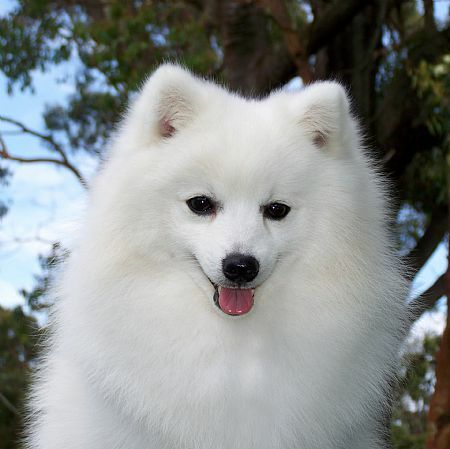 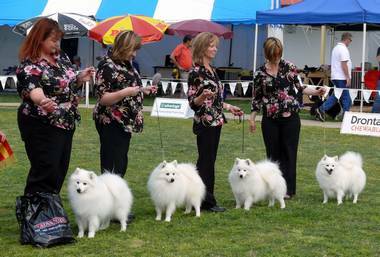 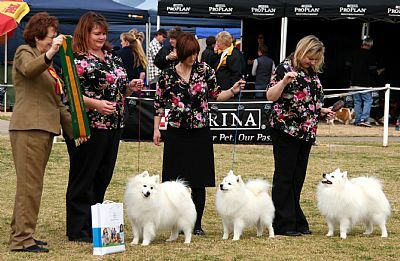 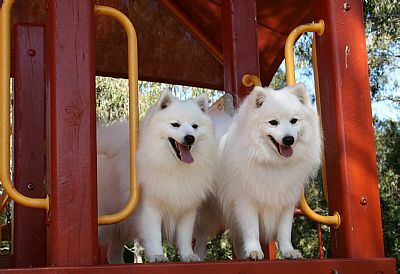 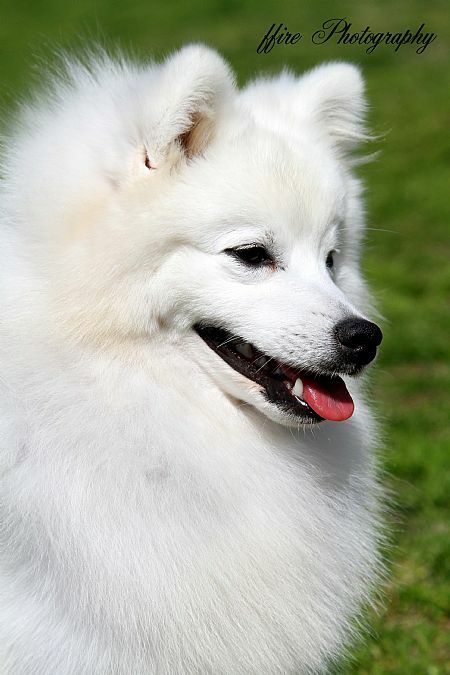 Japanese Spitz of outstanding Breed Type. 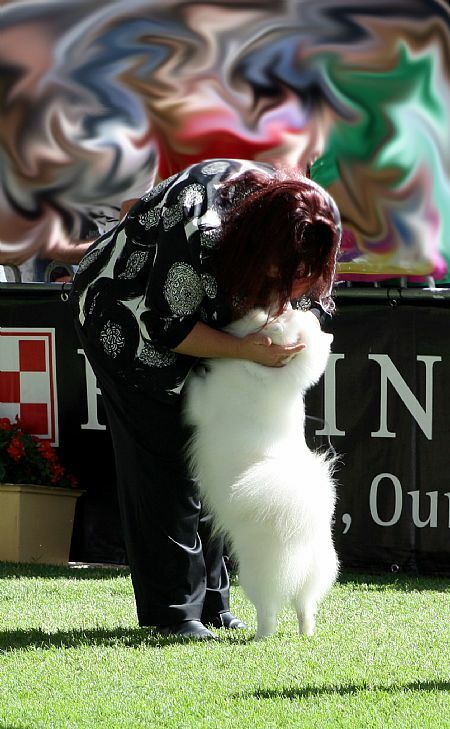 Multi Best in Show winner and super sire - living on through his progeny! 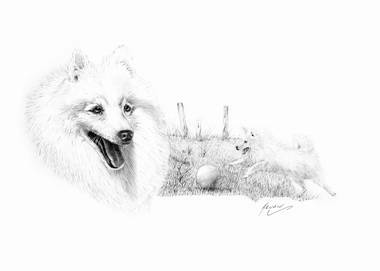 His sons "Takoda" and "Olly"
and "Dallas" and grandson "Jacob"
Orlando featured in this Limited Edition print, with his son Takoda.